Building a collaborative and mutually profitable relationship with retailers is a common challenge among consumer packaged goods manufacturers. Farmer John®, maker of packaged deli meats and the world-famous Dodger Dogs® hot dog, has taken advantage of the powerful insights that come with Trade Promotion Management (TPM) technology to strategize smarter, react faster and forge more win-win opportunities with retail customers. When coordinating a promotion with retailers, many manufacturers struggle to make timely and accurate decisions due to the lack of visibility into committed and unused trade dollars and the inability to measure lift and ROI. This is not the case with Farmer John. Armed with the AFS Trade Promotion Management Retail (TPM Retail), Farmer John has the ability to make concise trade spending decisions in a matter of days, not weeks, resulting in the company gaining half a million pounds off one month of incremental promotions. With forecasts and easy-to-access analytics at their fingertips, Farmer John can instantly access a snapshot of its trade spending commitments and determine if a promotion proposed by a retailer can be executed and know whether or not it will be profitable. This swift turn-around has made Farmer John a choice manufacturer among retailers more frequently – a real coup in the very crowded and competitive deli category. Prior to AFS TPM Retail, trade activity at Framer John was tracked on individual spreadsheets, not a single, closed loop TPM system, forcing the team to perform several tedious steps in order to sync data to its accounting system. The reliance on spreadsheets ultimately resulted in very limited trade promotion analytics and forecasting capabilities. Today, Farmer John is capitalizing on the wealth of reports and analytical insights provided by AFS TPM Retail to initiate fruitful category management conversations with retailers. That dialogue can then be married directly to budgets setting the stage for a more collaborative and productive planning process. “It’s empowering to understand which promotions are effective and then talk strategically with retailers about trends, budgets and exactly what Farmer John can do to help increase profits for everyone at the table,” says Chen. 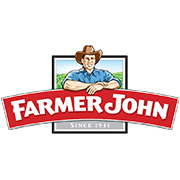 Farmer John, a wholly owned subsidiary of Hormel Foods Corporation, is headquartered in Los Angeles. Farmer John produces more than 1,200 items for the retail and foodservice channels in the western United States. Offering an array of fresh and value-added protein products, the Farmer John brand holds leadership positions in many categories. The world-famous Dodger Dogs® are one of the many products marketed under the Farmer John brand. The company employs more than 1,500 people in Southern California. For additional information, visit www.farmerjohn.com.